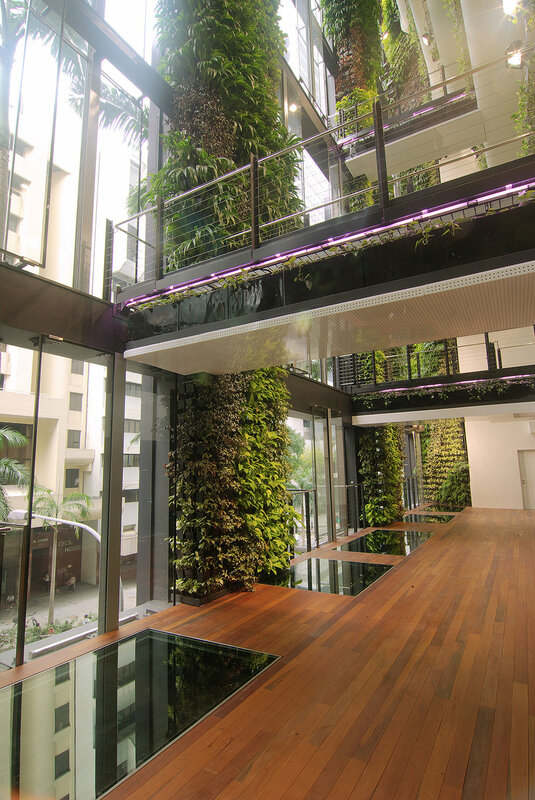 Deviating from the concrete austerity of most of the inhabitants along this prime avenue in the Central Business District, 158 Cecil Street now shelters an internal private oasis of vertical green landscaping. 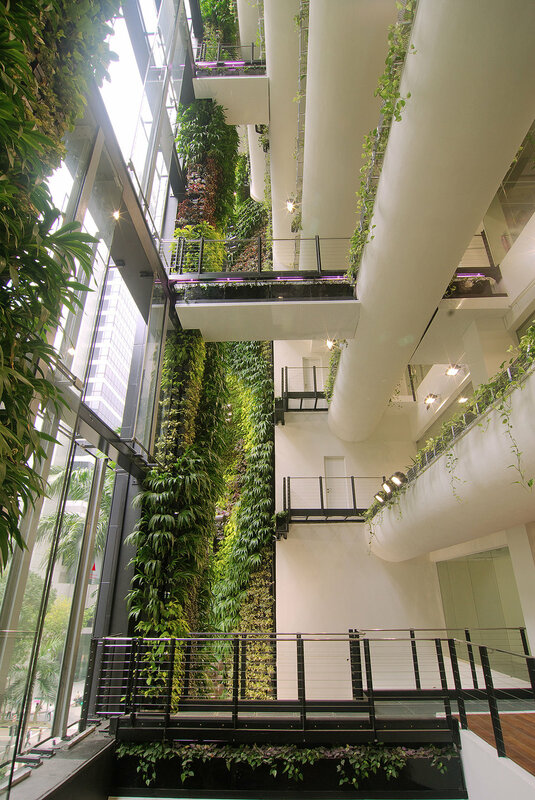 Leafy tapestries in various hues and colours clad the existing wall space rising upwards within the existing atrium. 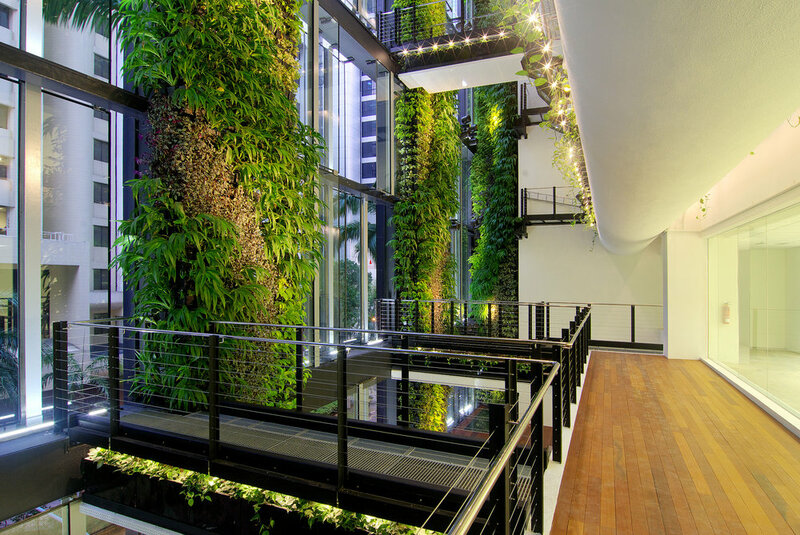 Seven stories high, the vertical garden sends a surge of life, energy, and visual excitement into the previously barren shaft of vestigial space that is the existing atrium of the building while also preserving and accentuating functional floor space. A staggered façade of vertical glass panels moderate daylight and ventilation of the building. At night, artificial lighting illuminates the internal space, creating a captivating greenhouse-like view from the outside. 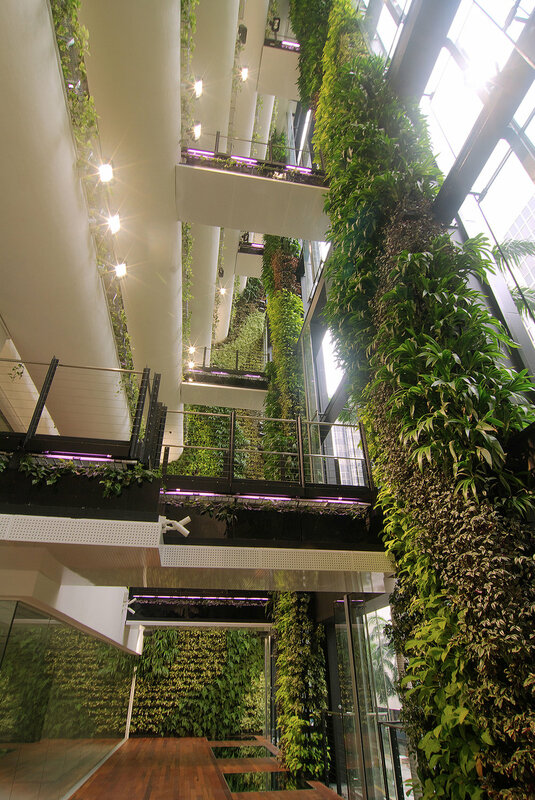 For sustainability, dedicated irrigation tubes are connected to each of the 13,000 plants, with a central pump system neatly camouflaged behind the larger green walls. 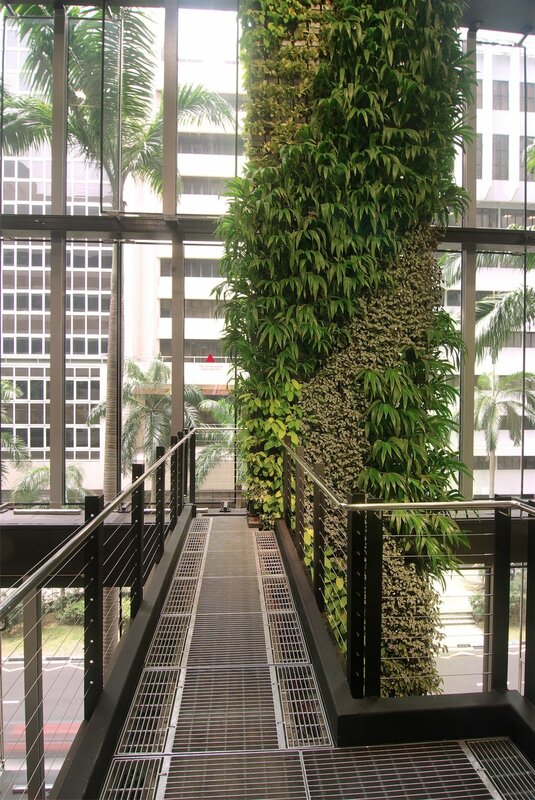 Maintenance is simple and safe as existing beams are transformed into skywalks and catwalks for access to the plants and different parts of the building.